THE ANSWER FOR RIDERS LOOKING FOR A VERSATILE TRAIL RIG. Forget the trail bikes of the past. 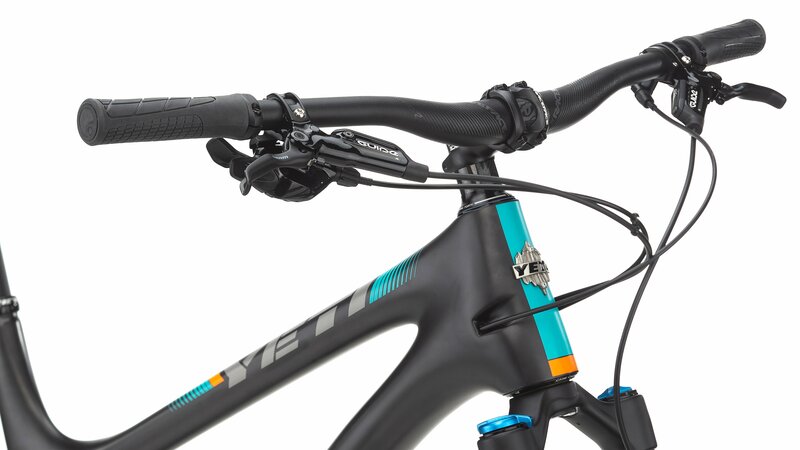 The Yeti SB5 frame is designed specifically to optimize the 27.5” wheel platform and has a distinctly different personality. Riders will feel perfectly balanced between the wheels instead feeling top heavy or awkward. The proficient Switch Infinity suspension platform and short chainstays make this bike feel efficient on climbs and lively and plush on descents. For a bike that climbs this well, the SB5 is incredibly balanced because of its long top tube and slack 66.5-degree head angle. Coupled with an optimal chainstay length and Switch Infinity suspension the SB5 feels more capable than a traditional 5” travel bike. C Series carbon bikes are made with high-quality materials and offer the perfect balance of stiffness and compliance. 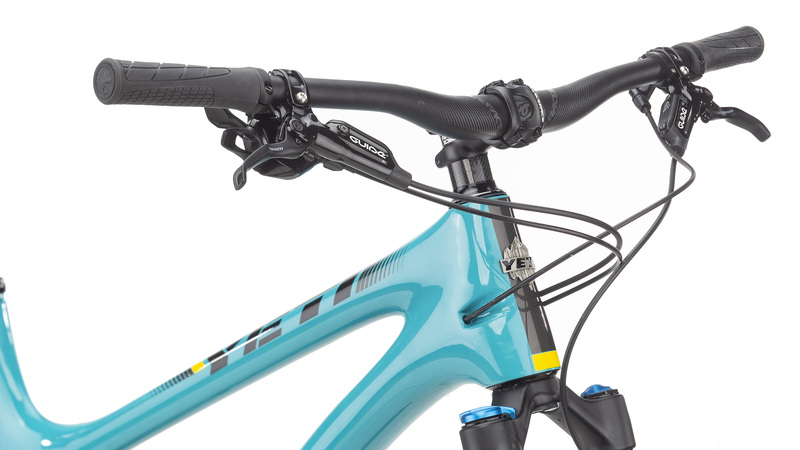 C series carbon is nearly as stiff as the high-end Turq series and every bit as strong with just a bit of a weight penalty. The Switch Infinity is a simple, lightweight, bombproof system built by Fox Racing Shox from proven suspension components and engineered and tested to withstand the worst riding conditions. 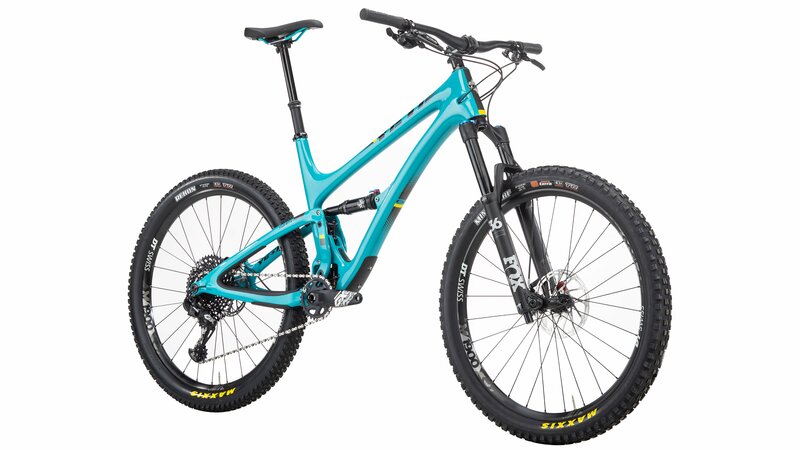 They only use the best components in its construction such as Kashima coated stanchions for low friction and durability, seals and bushings that are used in Fox’s off-road racing division, and a lightweight forged translating pivot. These parts have been field tested for over three years and the original bushings, seals, and stanchions are still in perfect working condition. 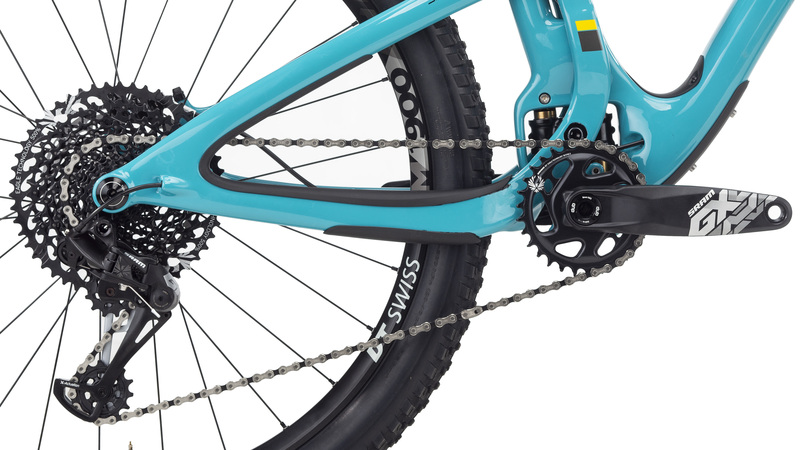 Take the SB5’s 27.5” wheels and combine it with SRAM’s Massive gear ratio GX Eagle drivetrain for a trail bike that demonstrates incredible climbing prowess. 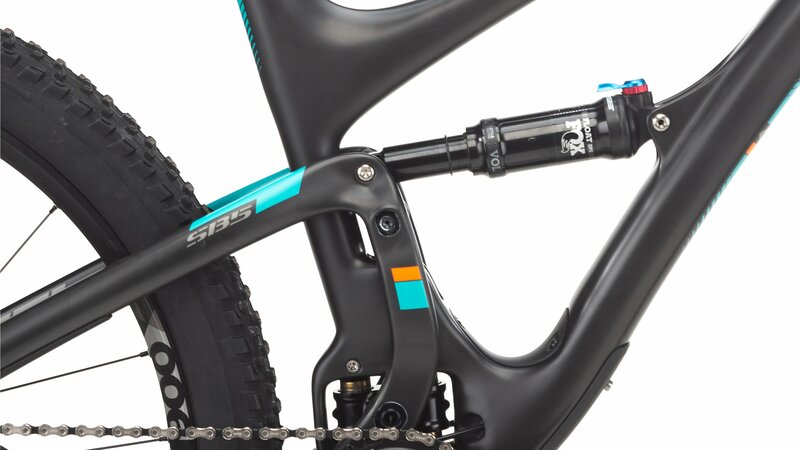 Throw in 150mm of front suspension from the Fox Performance 36 fork with a Fox Performance DPS shock perfectly tuned for the SB5, and the SB5 descends like a monster truck. SRAM Guide R offer modulation perfection and the stopping power you need if you get in too deep. The big 27.5” DT Swiss wheelset spin smoothly over obstacles. Maxxis tires provide the traction you need to confidently navigate all terrain. 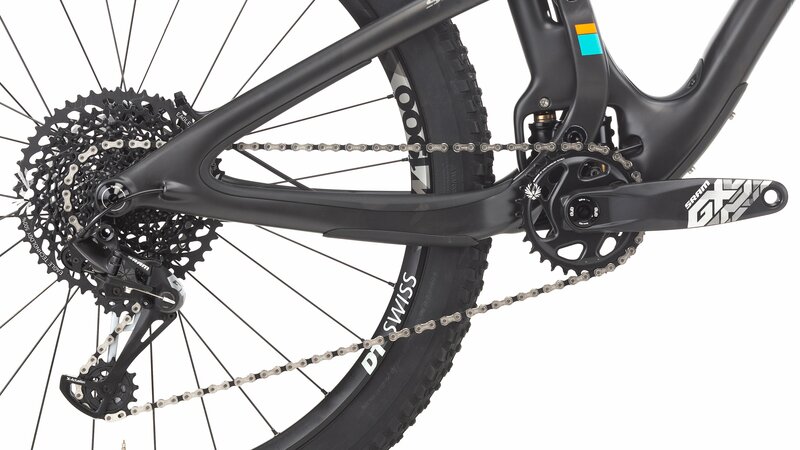 SRAM GX Eagle Drivetrain SRAM’s innovative 12-speed mountain group provides precision shifts and massive gear range. Fox Transfer Dropper Post lets you drop the post to tackle steep terrain. 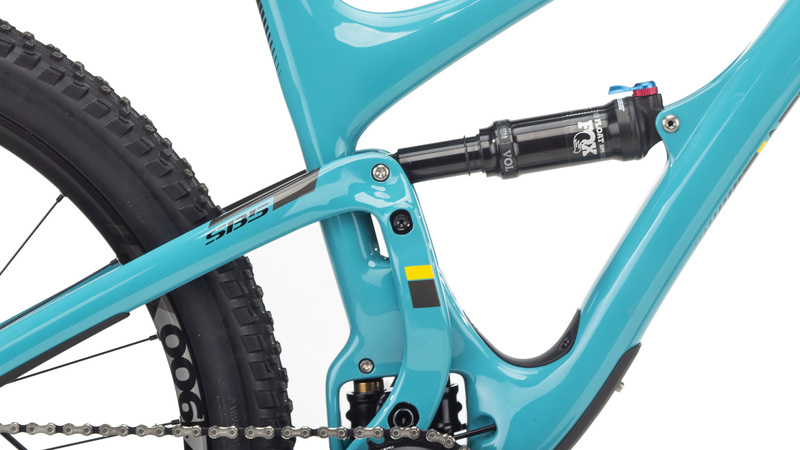 Redesigned rear triangle accommodates tires up to 2.8”. 150 - 160 cm 5'3" - 5'7"
180 - 191 cm 6'3" - 6'6"
Can this model accommodate 29" wheels? ..Thanks! BEST ANSWER: No, this is 27.5" specific. 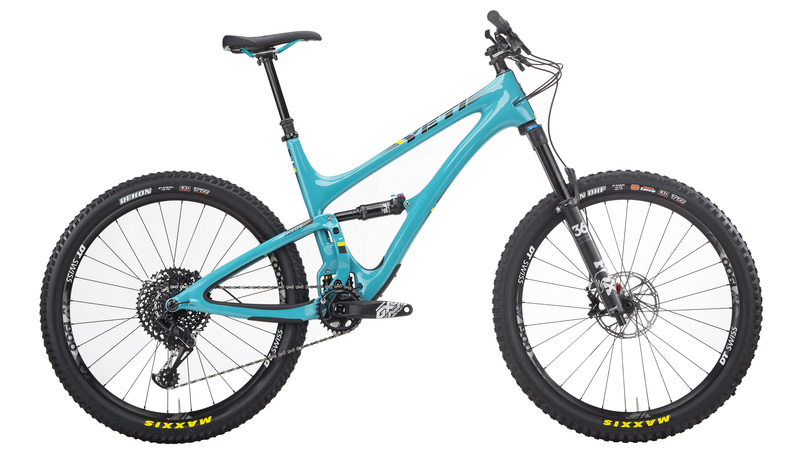 Take a look at the SB100 or SB130 models from Yeti if you'd like a 29er.